"I don't know much about swinging swords. But this, this I know." Yup, you knew the whole time that Gendry was coming back. After all, how could he not be? He seemed like he'd be a major player on the hit show Game of Thrones, and then, boom, he was gone! But really, it's not like he'd be sent off rowing, never to be seen again! Now he's back again, and ready to help Jon Snow and Ser Davos face off against the worst threat of them all. By going north of the wall! You can bet that Gendry isn't going into that battle unprepared, and as turns out, he's ready to arm himself the same way his father did. With an epic warhammer! Gendry forged it himself in the forges of King's Landing, and he knows how to use it, too. 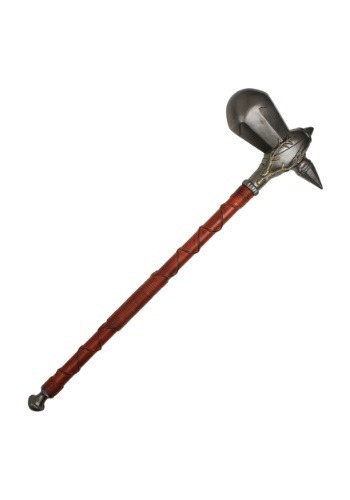 So, if you're thinking about a Gendry costume or cosplay... you're going to need this Gendry Foam Warhammer! 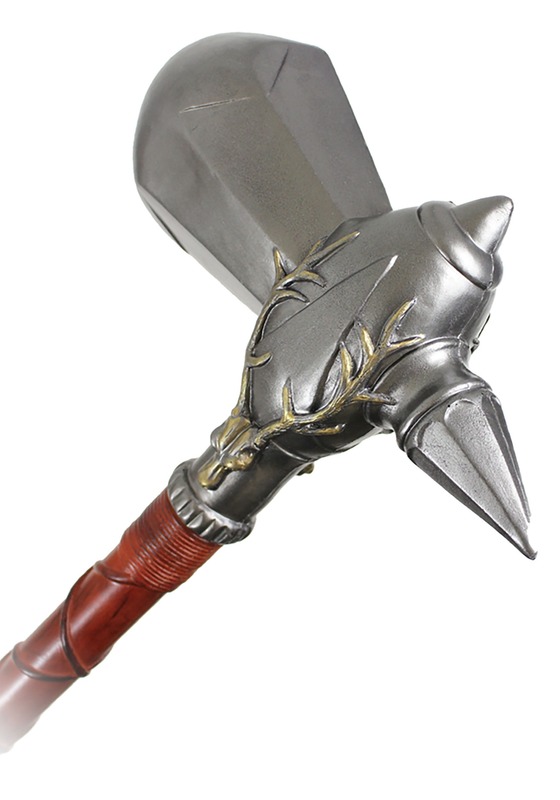 This Game of Thrones Gendry Foam Warhammer is officially licensed by HBO. Styled to look just like the prop featured on the hit show, it will be the perfect way to complete your Game of Thrones costume. Painted foam features show off the perfect amount of detail, right down to the stag horns on the head. It measures 37 3/4 inches long, and is an exact replica from the show. No matter the nature of your Game of Thrones event, we're sure you're going to have a great time. IF you go in costume! Gendry's a great choice, but there's plenty of other great characters to cosplay from the Seven Kingdoms. Check out all of our Game of Thrones accessories and costumes to build your perfect ensemble!